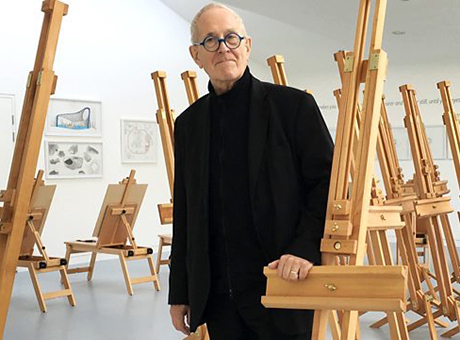 As part of Drawing Futures 2016, Sir Peter Cook, renowned architect and former Chair of The Bartlett School of Architecture, will teach a masterclass. Designed for architects and designers who wish to practice and hone their drawing abilities under the tutelage of a noted expert, this masterclass will offer an opportunity to work intensely at the art and craft of drawing with Sir Peter in order not only to improve your work but also to re-imagine it in exciting and challenging ways. Masterclass participants may use the week as an opportunity to develop an existing project related to the theme or to embark on something new and unexpected. The masterclass runs from Sat 5th – afternoon of Thurs 10th November (the Drawing Futures conference itself takes place on Fri 11th & Sat 12th November), and costs £750. A £150 discount is available for those who are also attending the Drawing Futures conference.